Wine investment scams have become prevalent since the late 90s, with the popularisation of the fine wine investment industry. The easiest way to avoid these poisonous scammers is to ignore anyone selling you an investment via a cold call – if this investment is so good and so profitable why would they need to hassle you at home to spend your money. It may sound obvious that if somebody cold calls and offers a great deal that it will be a scam. But countless new individuals each day fall victim to these ‘too good to be true’ offers and lose vast sums of money. Here’s how this particular scam works. These Wine Investment companies buy large databases of potential Investors, targeted based upon their financial status and age. Scammers aim for those with cash savings, often that they inherited, and to be deemed vulnerable or less savvy. When we say scammers we do not necessarily mean that these companies are not producing the wine that has been sold but are immorally inflating the price. These companies will then exaggerate the growth you should expect. Whenever an update or valuation is requested by the client you can bet your bottom dollar that the update will be made in the form of a verbal one and the numbers reported are fabrications meant to attract the investor to part with yet further doomed capital. Cold callers will often pretend to be working for or in conjunction with a well known wine investment company. Dropping the name of a trusted company starts to nurture trust between themselves and the potential fraud victim. Many will believe a scam if it is attached to a prestigious company name. They will be persistent, cold calling regularly with great deals that should not be missed. This can go on for weeks or months, in the hopes of convincing the investor. In our experience many elderly investors have agreed to invest just in the hope to stop the harassing calls. Official looking documents will often convince any investor of the legitimacy of the cold callers offer. The fraudster will often send investors the paperwork on their wine once the sale has been finalised, giving them what they feel is a safety net of a paper trail. The investor will likely not find anything obvious to be suspicious of with even the simplest technology making it easy to forge documents that look entirely legitimate. Investors will often have no idea they have been scammed for years, normally when they try to sell their wine and find that there is nothing to sell or what is there is worth half of what they invested. Once the investor chooses to sell their wine the scammer will insist that they should wait. Excuses like ‘nobody is selling wine at the moment’, ‘the market will be better in the winter’, ‘Lets wait for the Chinese New Year next February’ are frequently used. If a company is being slow/reluctant to sell an investor’s wine 9/10 times this signifies there is a chronic problem. We have also encountered many companies where they have started to chase their tales trying to fill in gaps of missed purchases, they attempt to prolong proceedings in a desperate effort to buy in time and not be discovered. This always leads to the company going into liquidation within 12-24 months. The average amount of investment lost on scams is just under £6,000, but investors have been known to lose up to £300,000 in the wine investment industry. Clients of these unscrupulous companies pay between 30-50% too much for their wines meaning there was never any scope whatsoever to profit from their investment. Never trust a cold caller. A reputable company will never use high pressure sales techniques on potential clients, if they have a good reputation they shouldn’t need to. 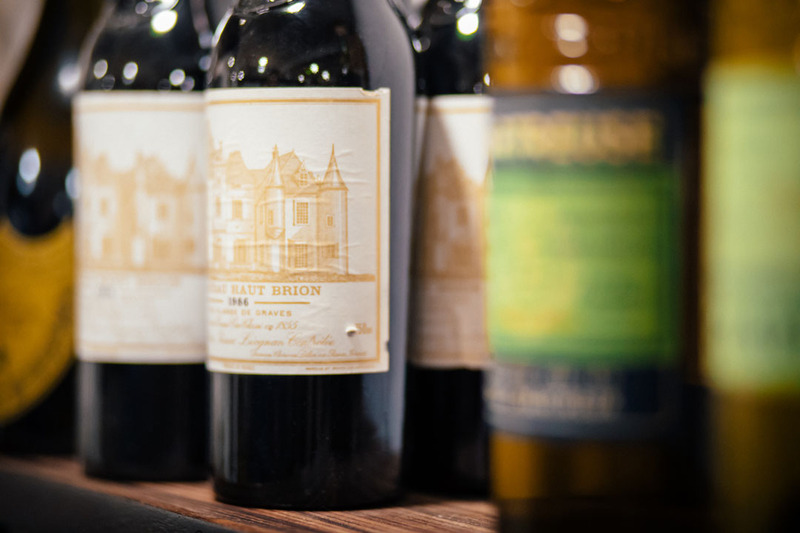 The London Wine Cellar operates with complete transparency and openness delivering their client a line-by-line market price breakdown of their stock and arming them with all the information they need to make an informed decision. Clients quickly know they have placed their trust in the right place. We aim to make people aware of the scams in the industry and help release people from bad investments so that they can avoid losing further money and in many cases racking up pointless storage debts. If a company offers to buy back wine at a profit for the investor it is likely that may have taken data from a wine company they used to work at. The convince the investor to transfer the wine over, once they have ownership they disappear and never pay the investor. Use trusted companies like our own to value your wine in order to avoid such scams, and if you come across this please inform us and more importantly report it to the police.